Whether having stumbled on to the path by chance or having taken birth in a family where all the members are initiated, one’s mind is often preconditioned by being fed a variety of information about Sant Mat. This eventually forms the basis of elementary understanding for the seeker. This mixture of information, coming from a number of sources, generally turns into a cocktail of fact and fiction, or even fantasy and reality. And once blended together, they become inseparable until experience validates the truth. But this takes time. With the experience, the mystery of Sant Mat will gradually unfold to the disciple — disclosing all the lies within. But until then, it is important for one to understand the phases of spiritual development that the disciple passes through before the esoteric inner awakening. The spiritual growth of a disciple can be broken down into three important stages. 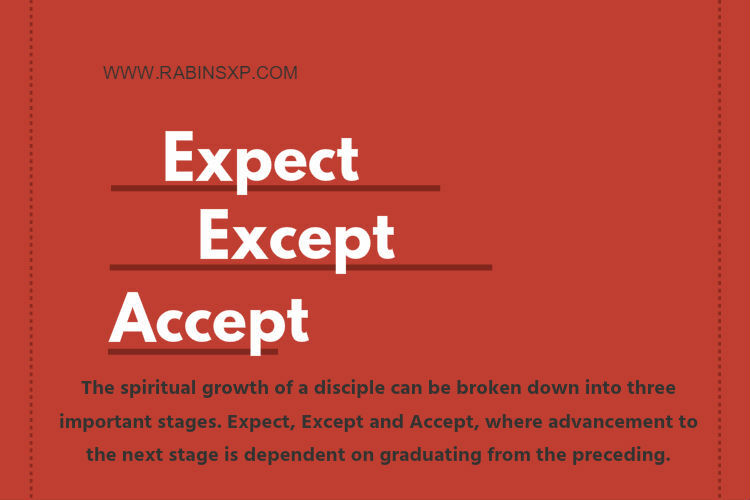 Expect, Except and Accept, where advancement to the next stage is dependent on graduating from the preceding. Being exposed to a wealth of information, the seeker adopts one of two approaches. He may find himself being content with what he hears and reads, which results in a satisfactory understanding of the path. Or, he may question until he finds answers that allow him to digest and assimilate the teachings to arrive at a certain level of comfort with Sant Mat. Whatever approach he may take to develop his own fundamental and conceptual framework of this spiritual science, he has in the process, also set himself up with a certain set of expectations. Expectations such as what this path is all about. Who the Master is. Why initiation. What happens after initiation. The disciple comes to form a mental picture of the Master and his works — whether true of now. One might even argue that at this stage the seeker has created God of his own image. These expectations are seeded in the seeker’s mind and are nurtured, appeasing the mind with every step on the path. But, it is only after on has formed a basic understanding of Sant Mat, and as a by-product also developed some expectations, that he is able to progress forward. Once the disciple has grasped the fundamentals and has started to tread this path of the saints, he understands how important a role effort plays. He is also aware that he has karmas that need to be settled before being able to exit the realms of mind and cause and effect. Knowing that the Master is working in his favor to take him home, the spiritual novice tries his best and puts in all effort to keep the promises made at the time of initiation. But, there is still a doubt. This doubt is what gives birth to the expectations. 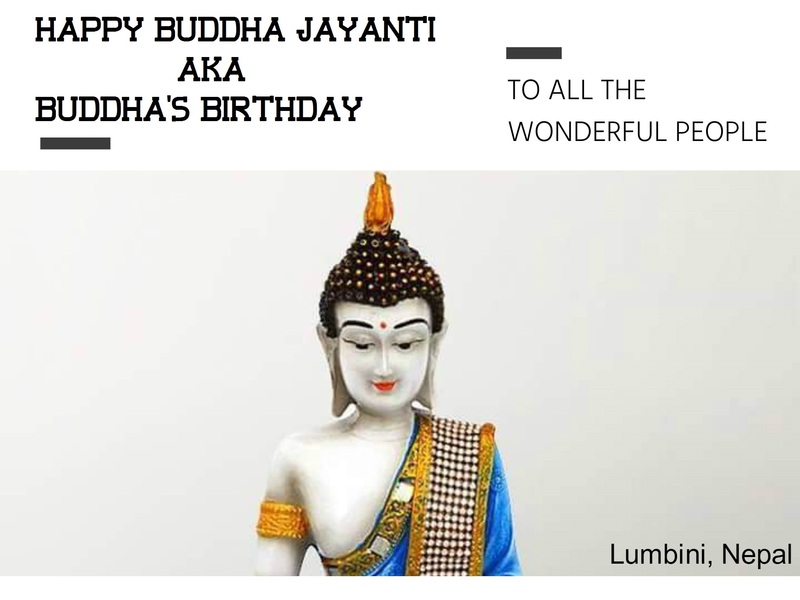 Neither is one able to fully give in to surrender to the Master nor does one fully belong to the material world. The disciple wants both — hence the exceptions: “I only want the Master and nothing of this world except…” and a wish-list follows. It would surely be nice to meet God on our own terms and conditions. But this is not how the Lord has ordained it. Perhaps because we have externally been made symmetrical and we have two hands, we think we are able to hold on to the Lord with one hand and the world with the other. Or, maybe, because we have a higher and lower mind consciousness, we believe that we can go up and down at the same time. The Master helps the disciple by bringing him closer to his goal, and he does this first by helping clear the disciple’s past accumulated karmas (sanchit). This is actually graced disguised, which only the Master knows how to shower. We cannot tell the Lord how to shower His grace just because are not in agreement with the way He works. But, when in the ‘except’ stage, this is essentially what we do — we tell the Lord how to shower His grace by asking for things to go our way. But after persevering on the path, the disciple eventually reaches a point where he comes to acknowledge that he is not in control; that there is a higher power and this power is on his side. Things will only continue as He has willed it. Only then does one realize how puny and insignificant one really is before the Master. Slowly but surely, comes the development of firm faith in the Master, and with that also comes the understanding that he really does know best, and is working in the disciple’s best interest. However, due to the restricted vision and limited intellect, this still cannot be seen or fully appreciated. But, once able to develop this kind of faith, the disciple then find himself entering the next stage — acceptance. When able to consciously give one’s personal will to another and yet, readily accept responsibility to undergo the consequences of all the action taken, then one is (in) the act of true surrender. The disciple here unquestioningly accepts whatever the Master bestows unto him. Pain and pleasure are equally given the same warm welcome. Though on the exterior, the disciple may appear unchanged, internally he has undergone a transformation. This spiritual metamorphosis renders his completely different fro what he was when he had started. Here, the question of even thinking of unwavering faith doesn’t arise, because there is faith and only faith that the Lord is in full control. That He is the one doing it all. Whether he is able to comprehend his Master’s work or not, the disciple no longer cares but he trusts him implicitly. He knows that the Master is only concerned with the soul and bringing it back to home. When one arrives at this stage, there is no stopping and no turning back. For even the Master himself cannot resist such disciples and makes them his very own. The disciple then becomes a disciple in the true sense of the word. The disciple then becomes a disciple in the true sense of the word. Until then, he is really only a spiritual practitioner. The disciple who accepts everything in life, knowing it is coming from the Master, ultimately becomes the heir to the spiritual inheritance. Total surrender is no easy task, but the perfect mystics teach by example on how they spend their lives. Having become completely void of every personal wish of their own, they host the Lord in their entirety, with the divinity of the One permeating every pore of the body. They live in this state, carrying out His will with every breath. Here, there is no difference between the Lord, the Master and the disciple. This is what each seeker is essentially striving for on this path. But in order to achieve this goal, it is important to start with the fundamentals and gradually progress, maturing spiritually through each stage: Expect, Except and finally Accept.